Installing concrete paving stones is not cheap. This is certainly what many homeowners have found while doing their research. The short term cost of pavers is usually around $10-$15 per square foot, while other options like concrete and asphalt are less than a third of that cost. Thus, it may seem like concrete pavers and other paving stone options are only within the realm of those who have disposable income to spend on home improvements. Another major reason to not worry as much about the short term costs is that concrete pavers can represent a solid investment in the value of your home. The actual percentage will vary, but many homeowners will appreciate a modest gain in the value of their home when they install a new concrete paver project. Thus, a short term investment, may yield long term profits down the line if you ever decide to sell your home or tap into its equity. Geographical location. Some areas are more expensive than others. Fuel costs, standard of living, material costs, and average salaries can all affect the prices of materials and labor. If you live in a more expensive area, especially in an area with higher than average home prices, you will probably feel the effects of market forces on the price you’ll have to pay. Brand. How much pavers cost depends on who’s selling them and the relative quality of the pavingstone. In general, though, the differences between pavers are quite minimal, regardless of the premium you’ll have to pay for a particular paver. Thus, its better to go with the choice of paver with one of the lower or medium prices unless you have specific reasons (aka colors or designs) that make you go with the more elite options. Square footage. Obviously, the bigger the project, the more expensive the job (usually). Paring down on your square footage can do a lot to lower the total costs of the project. Note, however, that if you go with a very large job, you may save more per square foot. In other words, a simple 200 sq. foot walkway may run you $12 per square foot, while a super 5000 sq. foot job may run you $10 per square foot. The reason for this is that the fixed costs of the project can be spread over a larger area, thus lowering the total price you’ll have to pay. Project type. Walkways, patios, driveways, pool decks, and garden installations all have their particular quirks. Design. Some paver designs are simpler than others, and thus have lower costs, square footage being equal. For instance, a job with many curves will require more cuts and thus will waste more brick than a job with straight edges. 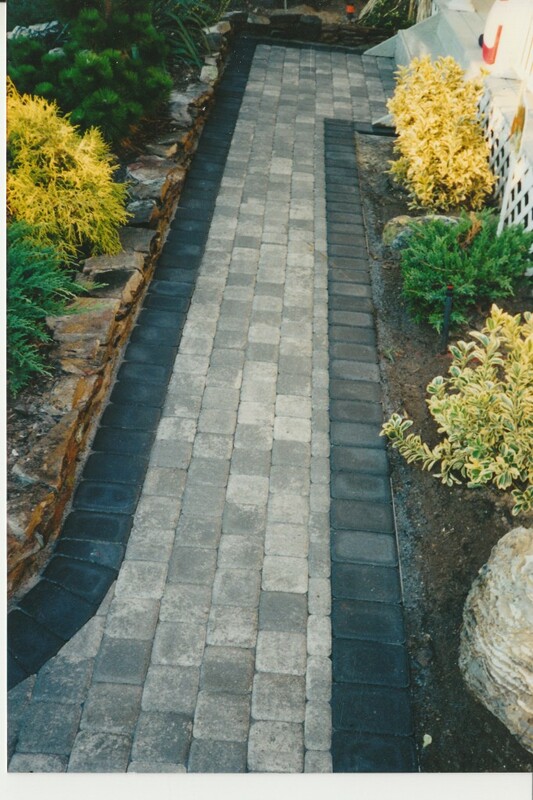 In addition, fancy paver patterns and designs can increase the time and effort the contractor needs to expend, increasing the cost of the labor on your project. Other options, like waterfalls, stoops or steps, or firepits may also increase the cost of the job. This also includes the pattern selected, or if you want to add a border to your project. This could be a great way to save some money on the project – go with a simple, streamlined design. Contractors. Some contractors charge more than others. Be careful when dealing with estimates by paver installers. If the concrete pavers price is too much of a bargain, you might find the work to be substandard. On the other hand, exorbitant prices don’t necessarily imply exquisite work. The best practice here is to get the estimate from three different contractors. Most people default to picking the ‘middle’ price as it seems the most ‘reasonable,’ but don’t automatically default that without reading the fine print. What is each contractor charging for? Is there a guarantee? For more information on hiring a contractor, check out this article. Other materials and preparations. If your project is going to be installed in a sub-optimal area, preparatory work may be needed in order to properly do the job. This may require increased labor and materials costs which will raise the total pavers price. For instance, if there needs to be heavy excavation of an old patio or other project, or if the ground below the area is made of clay and thus shifts and settles a lot, you may have to pay extra. Another example would be if grading of the property needs to be done in order to correct water flow. This is where some wiggle room can come in – don’t be tempted to take the lower price if the contractor isn’t properly addressing issues like these that must be addressed in order to protect your property and your investment. If you have any questions or any experiences to share, leave them in the comments! This entry was posted in Basics, Costs and Saving Money and tagged advice, concrete pavers cost, concrete pavers price, cost of pavers, costs, driveway pavers cost, paver patio cost, pavers cost, pavers price by Will Grander. Bookmark the permalink.